My family is very small. My only sibling lives thousands of miles away. In my early 20’s, I watched my Father go through rounds of chemo, radiation therapy, and take his last breath right before my eyes. I also watched my Mother and best friend bounce back countless times like a warrior. But months ago, I watched her take her last breath only to find myself back in the same place. That was the moment my heart shattered. My Mother never prepared me for the heartbreak that is living life without her. I still remember the look on my Husband’s face as we made eye contact as he walked through the doors of the ER. He’ll never forget that moment either. He still chokes up thinking about the fear and brokenness that he saw in my eyes without me saying a single word. This is a place where the enemy can without a doubt make you feel rejected by God. The enemy doesn’t just use people to make us feel rejected, he will also use hardships and tragedy. I was in this place. He’ll even make you feel like God doesn’t love you. I felt my prayers for my Mom’s healing weren’t good enough. I even asked myself (and God) over and over why were my prayers not answered?. This wasn’t a sin issue. God had planned something better. To witness someone you love…take…their last…breath…not once, but twice is beyond heartbreaking. It’s numbing and the pain is indescribable. How on earth will I make it through this? Over the past few months I’ve felt like a wanderer. Waking up each day still feels like a dream. When tragedy or heartbreak knocks on the door, some people run away from God—but I just couldn’t. I needed Him…and even in the valley, I know that God is my only hope. I’ve tried to figure out the best way to manage and heal from this heartbreak…searching for answers wherever they will greet me. I often search hoping they will help make this healing process easier. Then God gently interjects and reminds me that He’s got this…and that His ways are higher and the abyss of His knowledge and understanding can be trusted. He also reminds me that there is no reason why I should carry this burden when I can give it ALL to Him. For every heartbreak or seed of rejection, there is healing that goes far beyond what our eyes can see and what our flesh can feel. That healing can be found in Him. There’s something about God’s perspective, staying connected to Him and deeply rooted in the word that shifts your thoughts from temporal to eternal. The pain and heartbreak of this present world does not define who we are or measure how much God loves us. I know that no matter what hardships I face, that He will always be there for me (racoon eyes and all) with open arms helping me piece my life back together again. I’m so sorry you went through this! Thank you for sharing your story and helping others!!! Girl! There was so much power in your words. My Grandma was the glue that held our family together. She died from cancer 14 years ago and the family fell a part. We weren’t prepared to live without her. I don’t know how much time my mother has here on earth but I need to enjoy it and prepare for living without her at the same time. That is tough. I’m so sorry for your pain. Although baking doesn’t come as quickly as we would like, it does come…. HOPE is what keeps me going on troubled times. So sorry to hear about your tragedy. That must be hard, and I am so sorry you had to deal with this twice. I know the world wants you to be strong and put on a happy face despite what is going on internally – but grieve my love! Its ok not to be ok! 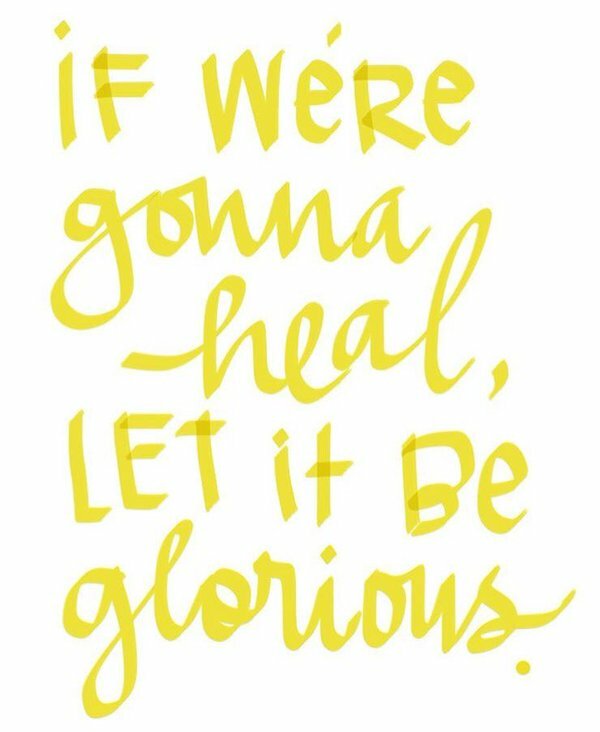 God will heal you in due time but be in your feelings its ok…sometimes that is the best way to heal is to feel. I’m sorry to hear about your mother. This is a book I needed last year when my uncle passed, and 4 years ago when I lost my father. Thank you for your review and sharing your personal story. All I can say is wow. “My mother never prepared me for the heartbreak that is living without her”. This struck me HARD. I can’t imagine the day I am forced to live without my mom. Unjust recently moved nine hours from her and it was HARD! I am so sorry for your loss. Thank you for your openness and transparency. Very sorry for your loss. I’ve been down this road and it’s definitely not an easy one. What I know for sure is that it gets a little more bearable as time grows. My Father transitioned first and then my Mother 11 months later. It was very hard when my Father died but it was even more devastating when my Mother passed. She was the rock that got us thru when he passed. I felt like we (my brothers and sisters) were all alone in the world. But it truly does get easier as times goes on. I will have to check her book out asap. Wow, this was so powerful. I’m truly sorry for your loss Artney. Your story and your journey to healing will help many. I’ll have to check out this book. Thank you, Vashti! I pray it will. And yes, check out the book! Hey, Artney, I’m so sorry to hear about your loss. And wholeheartedly understand and commend you for drawing nearer to God during this time in your life. Thank you, Latoya! I really appreciate it. Thank you for your kind words. It’s a great book that I believe everyone, especially women (young and old) can relate to. WOW! I am so sorry for your loss. I send you and your sister good vibes. Thanks for sharing this book. It seems like an amazing read. Thanks, girl! The books is really good. I think any girl/woman no matter where they are in life…they can relate. I’m sorry for your loss. I have yet to lose my parents and I’m praying that I have the strength to deal with it when the times comes. That is for sharing. Even through your healing you are comforting others. Thank you for sharing.